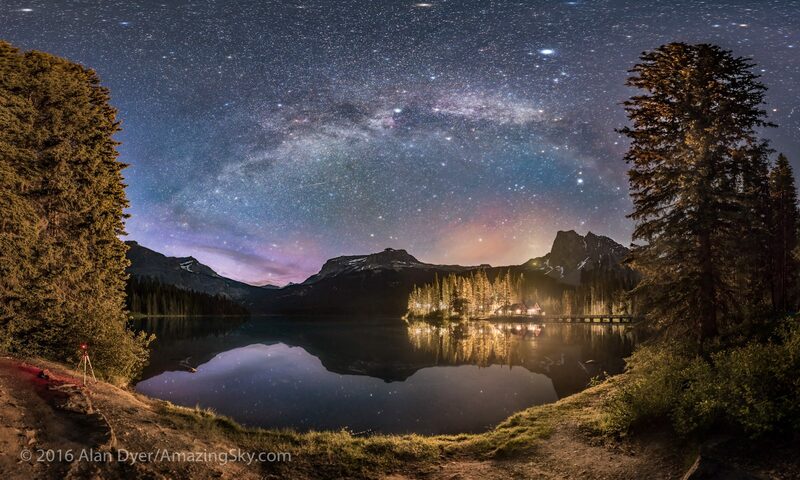 This is a binocular-sized gulp of sky in the northern summer Milky Way. 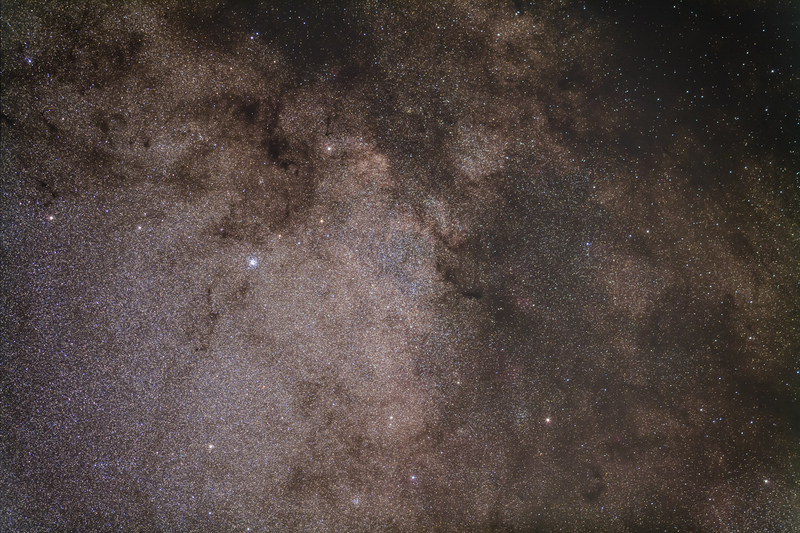 Countless stars form a bright patch in the Milky Way called the Scutum Starcloud, named for the odd little constellation of Scutum the Shield that contains it. Visible to the naked eye, this star cloud is a rich area for binoculars or a small telescope. One favourite object of stargazers lies embedded in the star cloud and can be seen here as a bright clump of stars at left of centre. That’s the Wild Duck Cluster, or Messier 11, a dense and populous cluster of stars within the already star-packed Scutum Starcloud. Look in this direction into the Milky Way and you are looking toward the next spiral arm in from ours, some 6,000 light years away. The immensity of stars in just this small area of sky is hard to fathom. That’s why it’s called deep space!